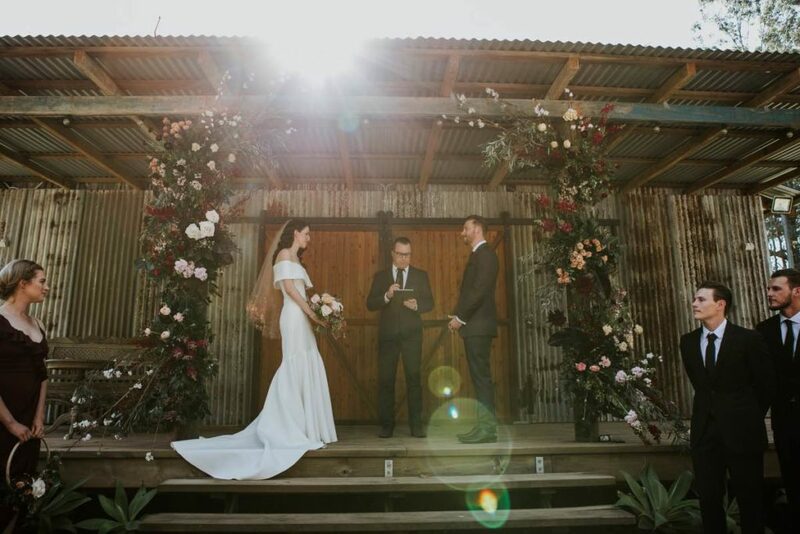 Kathryn and Raoul’s wedding was so gorgeous! 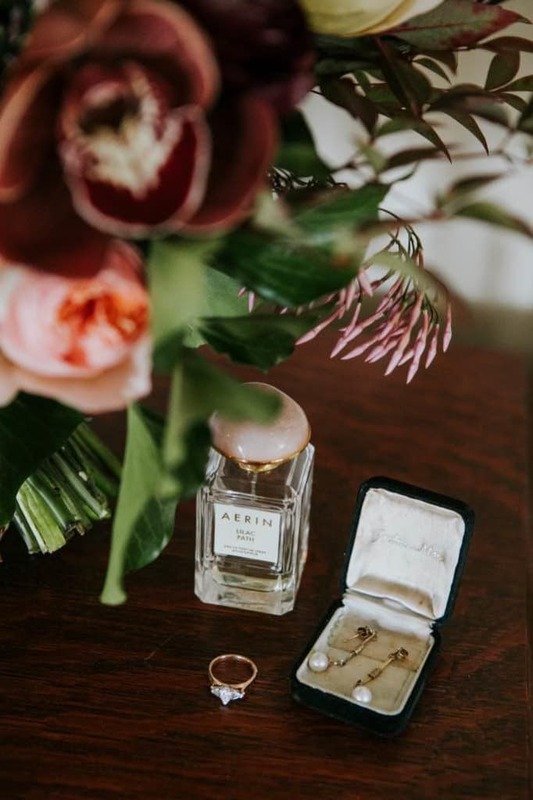 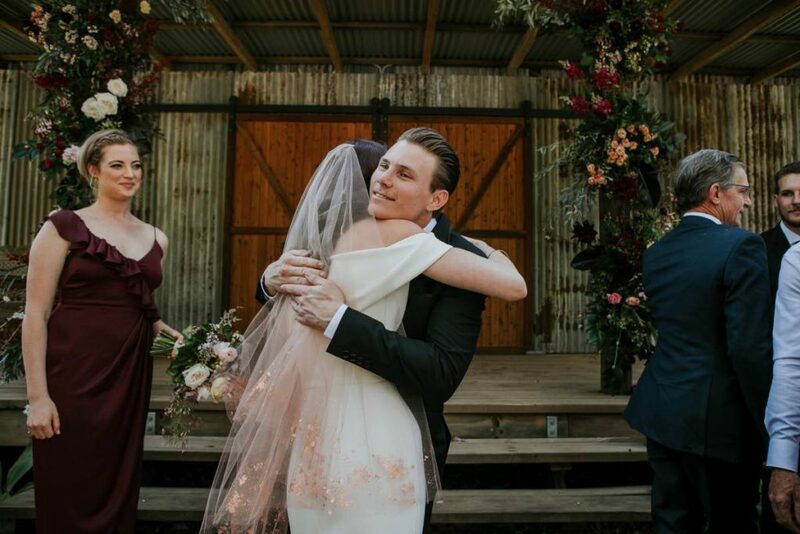 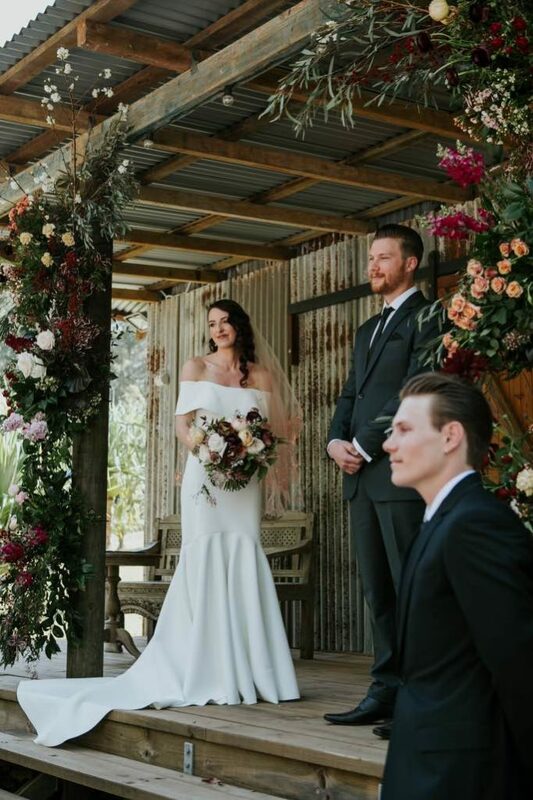 Set in the foothills of the Sunshine Coast Hinterland, Logwoods Homestead in Ecreatingated the perfect rustic Australian backdrop for these two lovebirds. 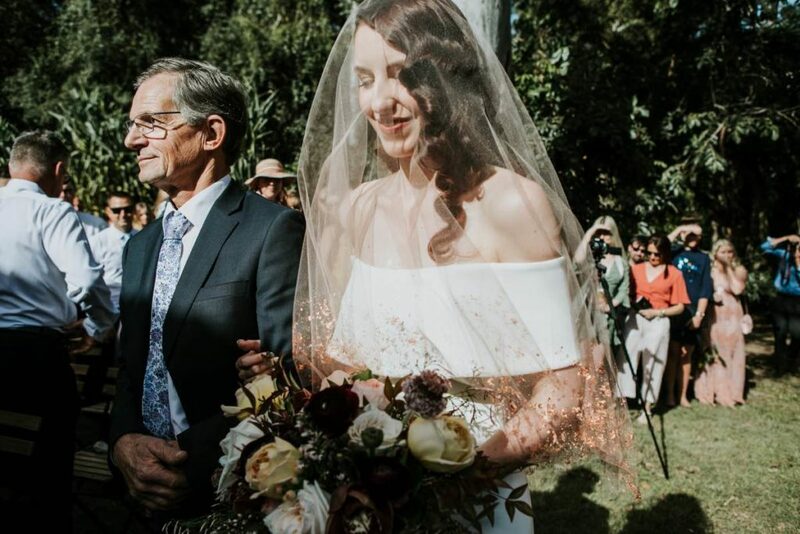 Kathryn’s wedding flowers were inspired by her stunning veil with gold leaf infused on it creating the most beautiful and airy vision as she walked down the aisle. 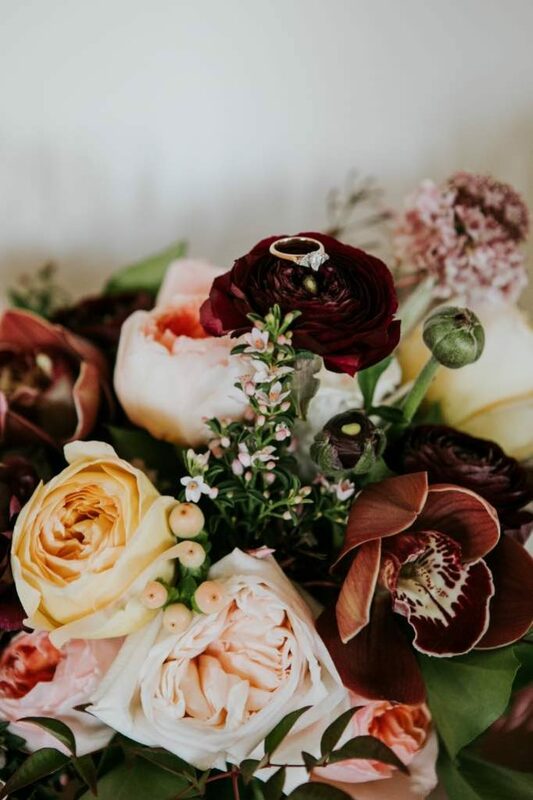 We used a combination of cymbidium orchids, David Austin cottage roses, scabiosa, O’Hara roses, ranunculus, jasmine with nandina foliage. 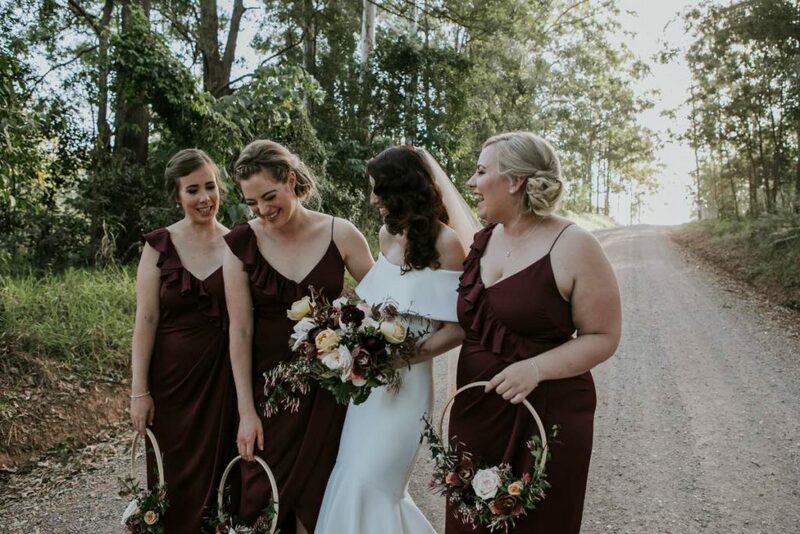 Kathryn’s colour palette of gold, mustard, honey, plum and apricot was divine and we predict that we will see more of these tones for our future brides. 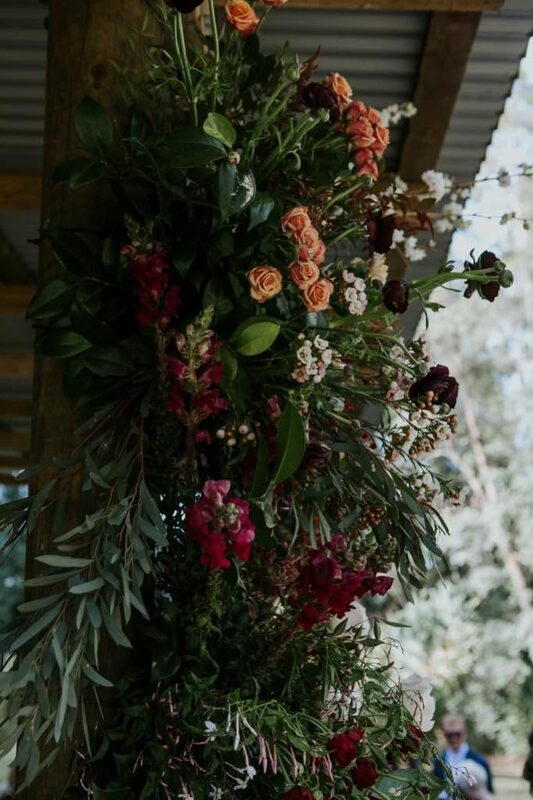 I am so appreciative of the time Sandi took to turn my vague ideas into stunning arrangements. 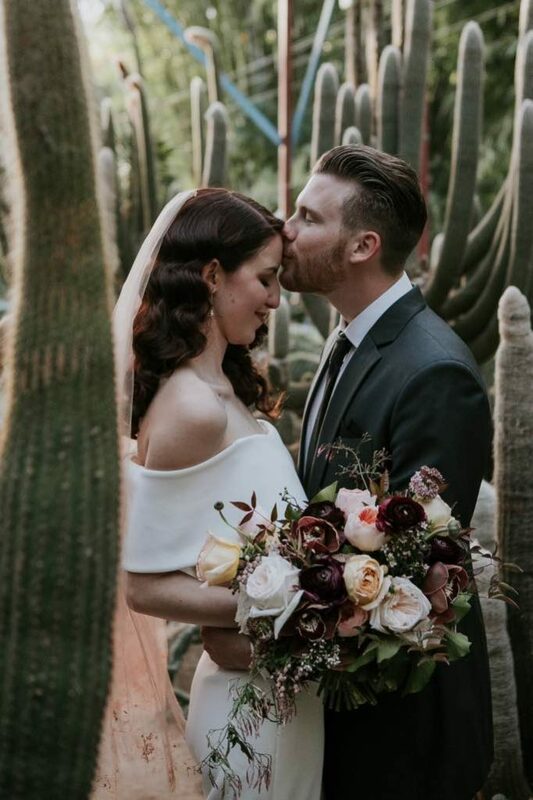 Everything looked beautiful! 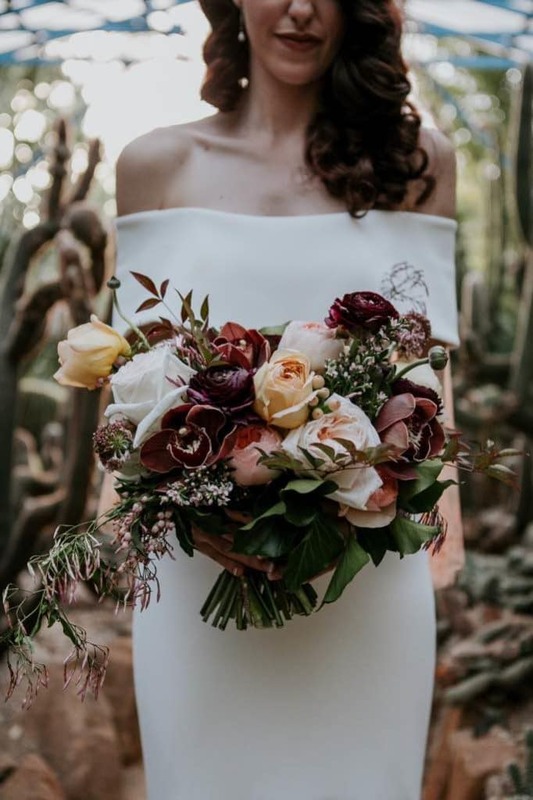 Sandi and her team are truly amazing and I cannot recommend them highly enough! 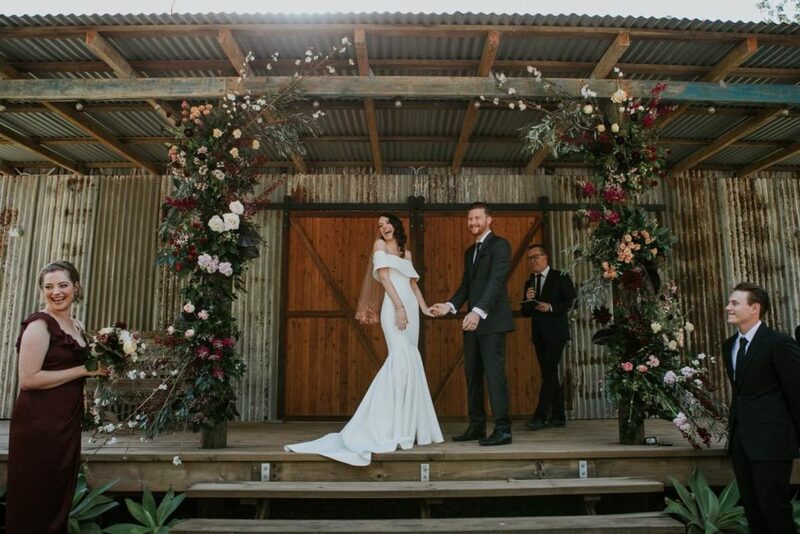 For the ceremony space, we created floral designs that stretched upward filled with seasonal spring blooms including blossom branches, this rustic and romantic design worked in so well as the earthy and natural design softened the rustic ceremony backdrop of the tin walls. 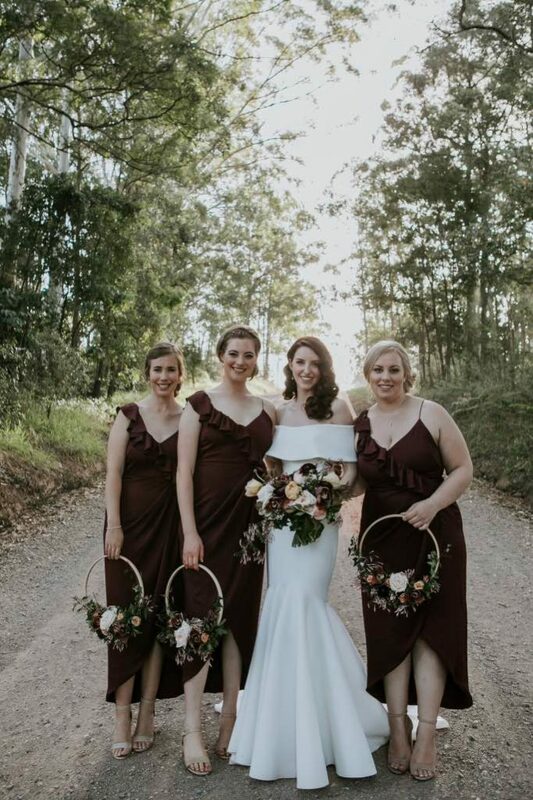 These designs were designed with layers of florals to add depth and interest, we added rich burgundy hues to add to the colour palette. 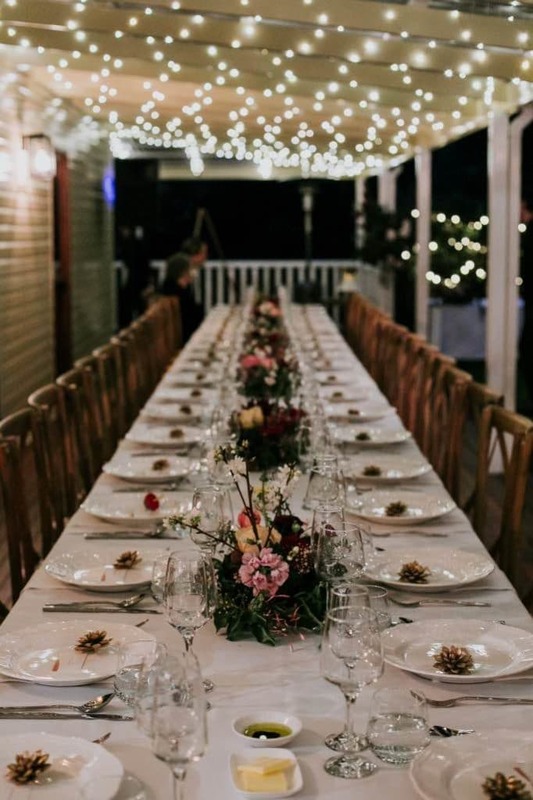 For the reception tables, we created floral gardens, this is a versatile and practical style as your guests can take the arrangements home at the end of the night. 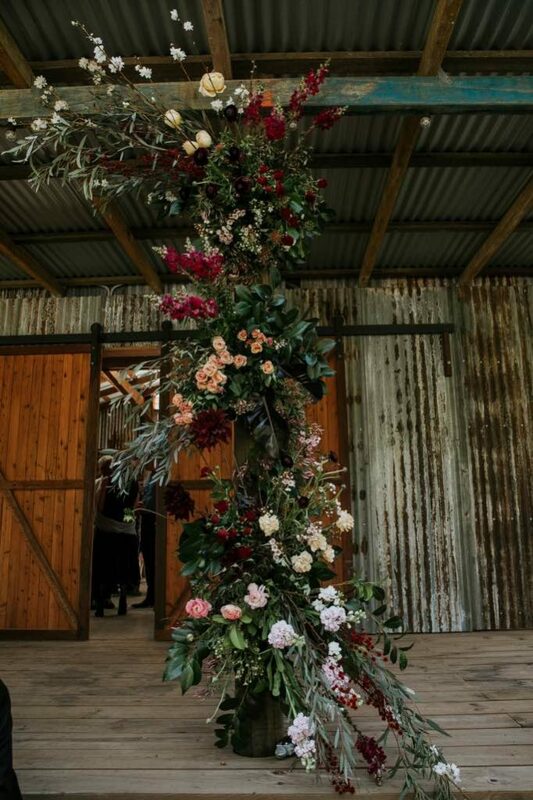 This design can is suited to garden, coastal, or hinterland weddings! 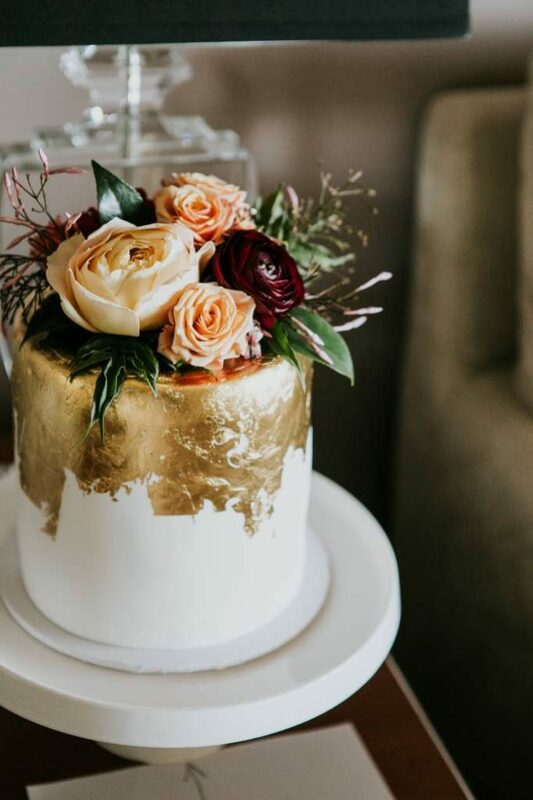 A sweet floral topper finished off the cake.